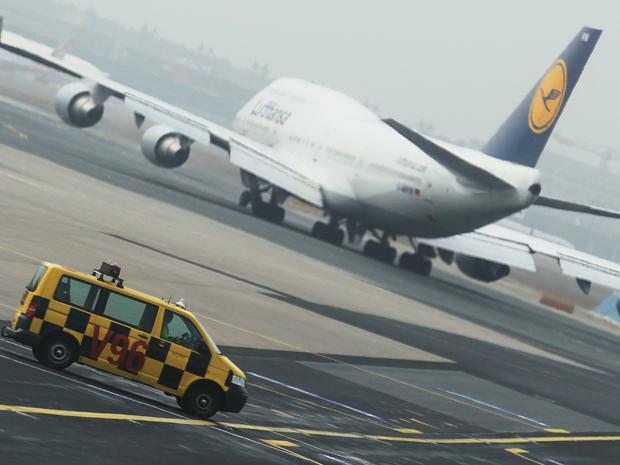 The iconic Boeing 747 is almost 50! The first 747 flew 47 years ago this week. From the Smithsonian: The Wright brothers could have flown their first powered flight within the 45-meter (150-foot) long economy section of a 747-400. 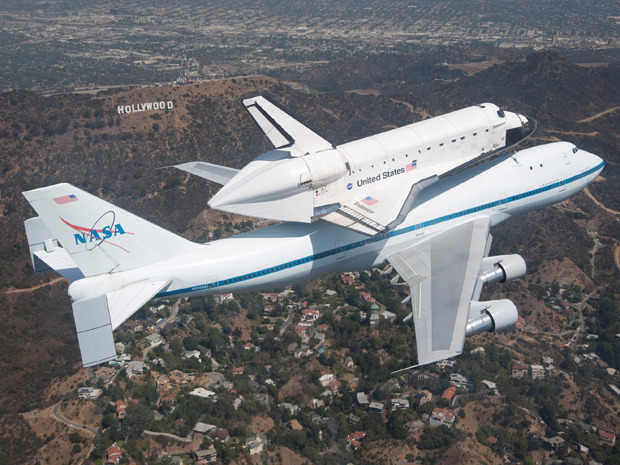 The space shuttle Endeavour atop its 747 shuttle carrier aircraft flies over the Hollywood sign in Los Angeles, during the final portion of its tour of California, September 2012. Endeavour touched down in Los Angeles on the back of a jumbo jet, greeted by cheering crowds as it ended a celebratory final flight en route to its retirement home at a Southern California science museum. 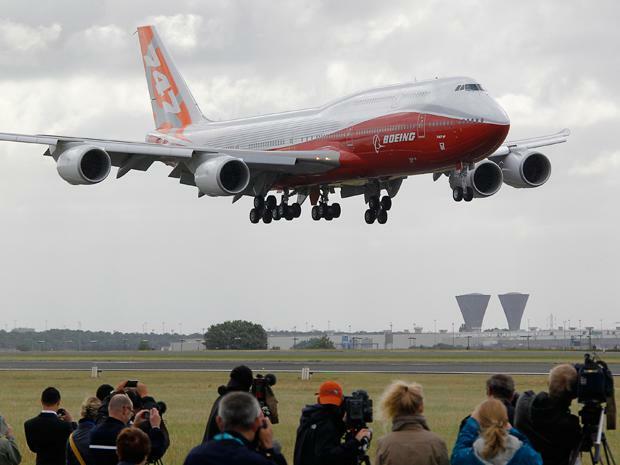 The 75-ton winged spaceship, ferried by a modified Boeing 747, landed at Los Angeles International Airport. 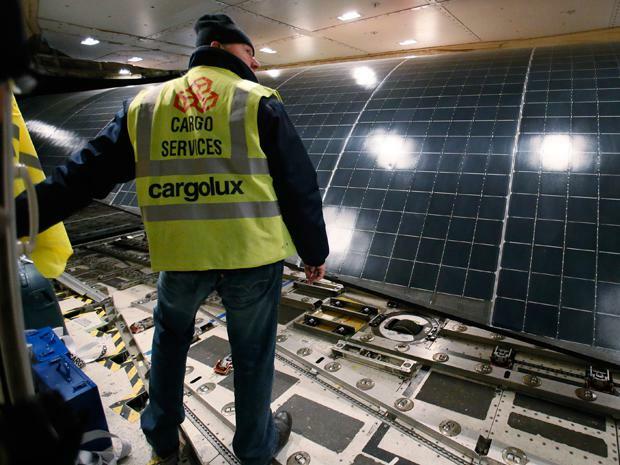 A worker loaded the wings of the Solar Impulse aircraft into a Cargolux Boeing 747 cargo aircraft at Payerne airport. The Boeing 747 transported the Solar Impulse HB-SIA prototype aircraft to Moffett Airfield at the Ames Research Center of NASA in San Francisco in 2013. 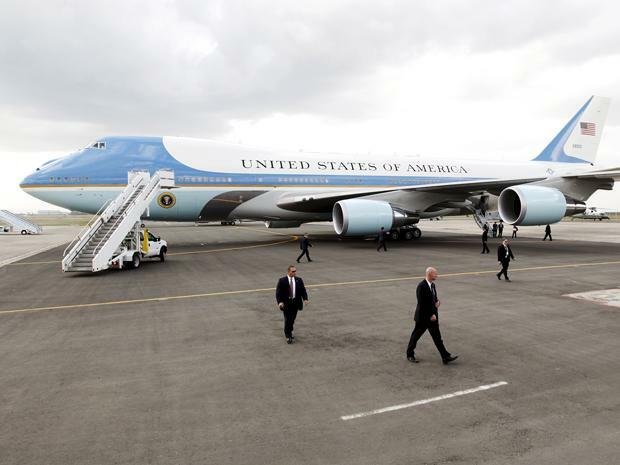 U.S. Secret Service agents walk around Air Force One – a highly modified 747. Presidents have been flying in 747s since 1990. According to the White House, the current aircraft can be refueled midair and onboard electronics are hardened to protect against an electromagnetic pulse, and Air Force One is equipped with advanced secure communications equipment, letting the aircraft function as a mobile command center in the event of an attack on the United States. 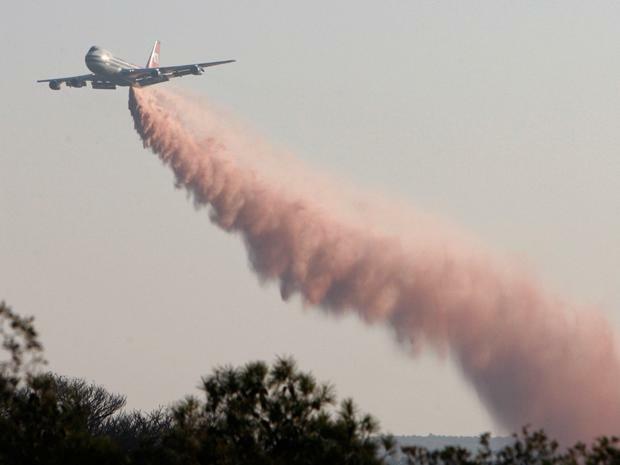 A Boeing 747 Supertanker outfitted for firefighting drops flame retardant as it flies. Boeing picked Evergreen Aviation Technologies Corporation (EGAT) to modify three 747-400 passenger jets into Large Cargo Freighters to transport major assemblies for the Boeing 787 Dreamliner. Modifications to enlarge the upper fuselage increased the volume of the main cargo deck to 65,000 cubic feet (1,845m3), 300 percent more capacity than the 747-400 Freighter, the largest freighter in regularly scheduled service. A worker makes a bed in one of the standard rooms in the Jumbo Hostel at Arlanda Airport, Stockholm in January 2009. Jumbo Hostel is a Boeing 747-200 jumbo jet that has been converted into a 25 room hotel and cafe and the cockpit has been converted into a deluxe suite. Crew prepares a Virgin Atlantic Boeing 747 aircraft before the world's first commercial biofuel flight to Amsterdam from Heathrow Airport in London February 2008. Nuts picked from Amazon rainforests helped fuel the world's first commercial airliner flight powered by renewable energy. The U.S.A.F. 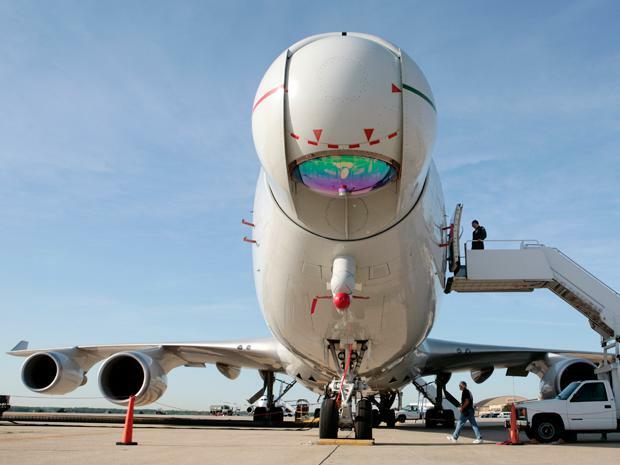 Airborne Laser aircraft sits on the tarmac at Andrews Air Force Base outside in 2007. 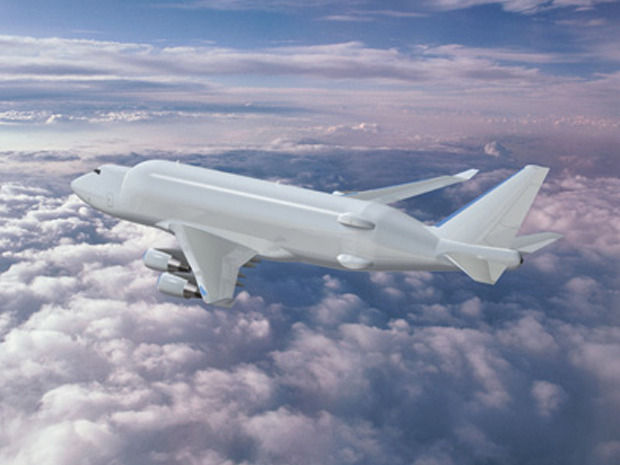 The modified 747 aircraft used a high-energy Chemical Oxygen Iodine Laser to generate an energy beam from the aircraft's nose to intercept and destroy a hostile ballistic missile during the boost phase of its trajectory. 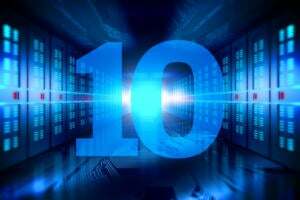 On Feb. 11, 2010, the flying test bed destroyed a ballistic missile off the coast of Southern California. The program was canceled in 2011, and in 2012, YAL-1 was flown to the U.S. Air Force “bone yard” near Pima, Ariz., to be scrapped. An engineer of the Guard-Lee Aerospace restoration company checks the cockpit of the Boeing 747 aircraft before the installation at the National Air and Space Museum in Washington January in 2007. 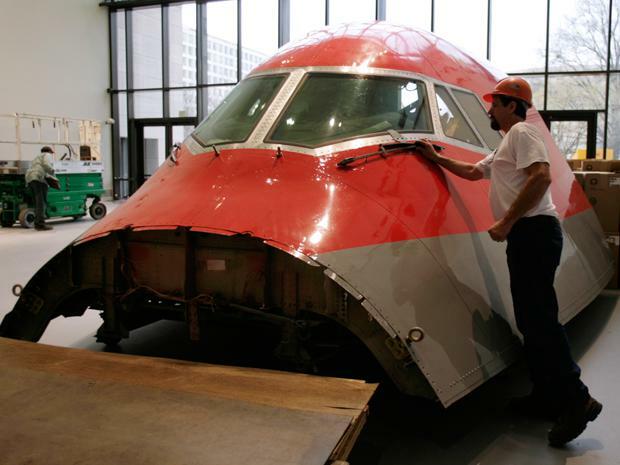 The forward fuselage section of a retired Northwest Airlines Boeing 747 is the centerpiece of the exhibition "America by Air." 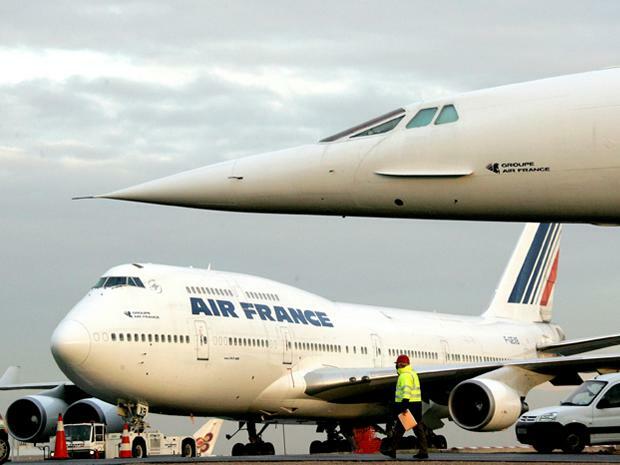 An Air France Boeing 747 taxis past in front of the retired Air France Concorde number five on the tarmac at Roissy-Charles de Gaulle Airport. 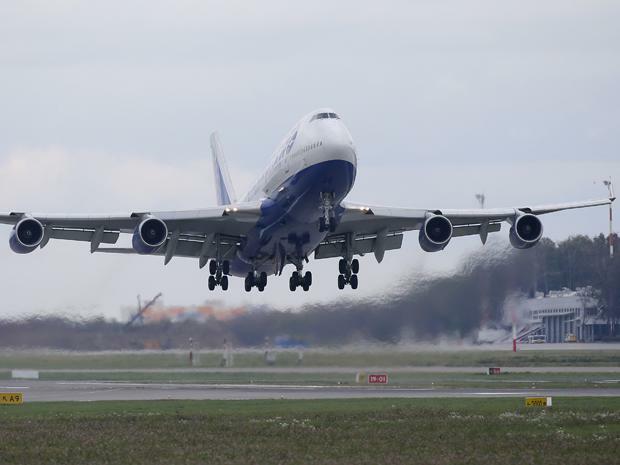 On June 28, 2014, Boeing delivered the 1,500th 747 to come off the production line to Frankfurt, Germany-based Lufthansa. 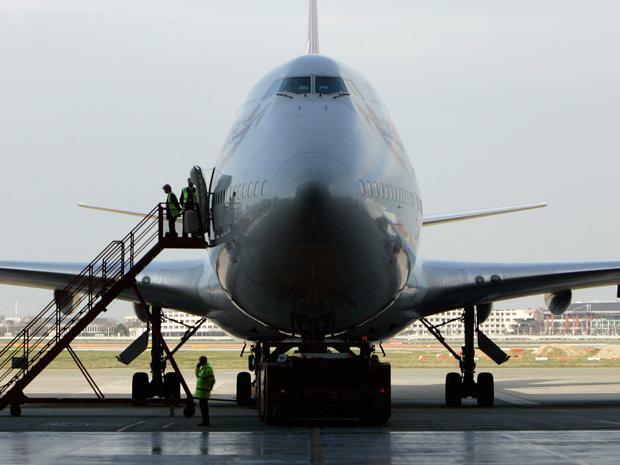 The 747 is the first wide-body airplane in history to reach the 1,500 milestone. 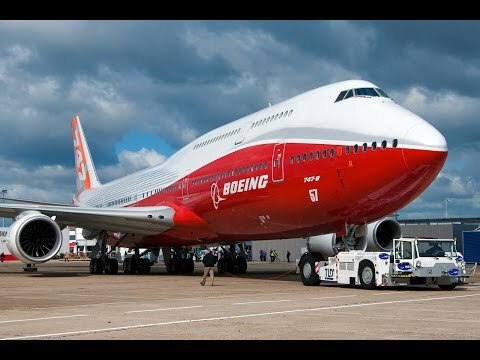 A video on the history of the Boeing 747.